We are pleased to announce the launch of Ricoh’s latest A4 Colour enhanced Teflon model, the SP C440DN TEFLON Printer, replacing the SP C431DN TEFLON. It will also expand the Teflon range into the colour market. This new device is based on the same improved specifications as the standard model (SP C440DN EDP 407774). However it uniquely provides multipurpose functionality, enabling it to be used for a mix of both office document, wristband and label printing. The device has been enhanced with a Teflon coated paper path kit. This enables paper to seamlessly pass through the machine, ensuring reliability of printing labels and wristbands for customers whose workflow cannot be interrupted. This makes it ideal for Healthcare Organisations, but also well suited to Manufacturing and Transportation. 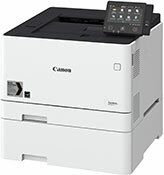 We are pleased to announce the latest additions to the Canon i-SENSYS range. 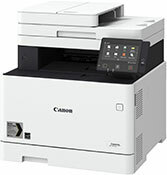 Replacing the i-SENSYS MF720, MF620, LBP7600 and LBP7100 series, the i-SENSYS MF730 and MF630 series multifunctional laser printers and i-SENSYS LBP650 and LBP610 series single-functional laser printers are embedded with the latest advancements available in the print market. These new additions are compactly designed to support flexible working in home offices, as well as small and medium-sized enterprises (SMEs). Packed with intelligent features to help streamline document workflows, the new devices ensure maximum efficiency and productivity while reducing the total print cost, allowing companies to invest more time in core business activities through smarter working practices. 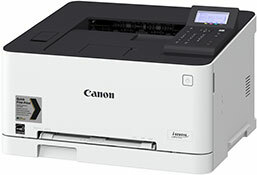 The new models also feature new high-yield all-in-one toner cartridges with up to 85% more toner capacity than previous models, selected models within the range leverages Canon’s impressive security credentials with advanced features such as Secure Print and PIN-protected printing. To demonstrate how confident they are of their reliability, Lexmark have added 4 year warranty as standard to some of their most popular models. Take a look at the benefits customers can enjoy with Lexmark today! Devices that exceed your expectations. A guarantee that fits your needs. As a testimony to our commitment to excellence and our confidence in the products we deliver, we back them up with solid guarantees to ensure you hassle-free printing and maximum up-time. short steps to register your new device. the registration process, enabling you to benefit from additional tailored offerings. Did you know we supply thermal mobile A4 printers? The Brother PJ-700 Series offers field sales, public sector and emergency services staff the opportunity to leave customers with professional, full-size A4 cut sheets on thermal paper. How handy is that? No more reliance on head office to send the paperwork out at a later date. Customers can receive a printed agreement, record or receipt on-the-spot. Direct thermal technology means no ink, toner or ribbons to replace. Highly reliable direct thermal technology uses fewer moving parts than other printing technologies. The portable printer you’ve been waiting for! The WorkForce 100W, Epson’s first-ever A4 portable printer is great for professionals who need to print invoices, contracts and more while working remotely. Small and light, this inkjet printer features an integrated battery, an LCD screen, Wi-Fi and Wi-Fi Direct® conectivity, and compatibility with Apple AirPrint, Google Cloud Print and Epson iPrint. The world’s smallest and lightest A4 inkjet printer, the WF-100W has a built-in battery that can be recharged anywhere via USB. It’s small and compact, measuring just 309x154x61mm and weighing 1.6kg. Its wireless connectivity means the WF-100W cuts out all cables, allowing it to be used hassle-free both in clients’ homes or in a vehicle. 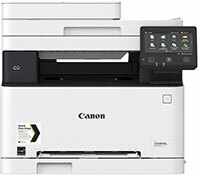 Compatible with Apple AirPrint and Google Cloud Print for wireless printing, the WF-100W also benefits from Epson Connect. As well as the Epson iPrint app for wireless printing from most tablets or smartphones, Epson Connect also includes Email Print, which means you can print from anywhere in the world. connection without the need for a PC, and to check ink supply levels.